Mike Modano: A Perfect Fit in Chicago? Could Mike Modano be in Chicago this fall? 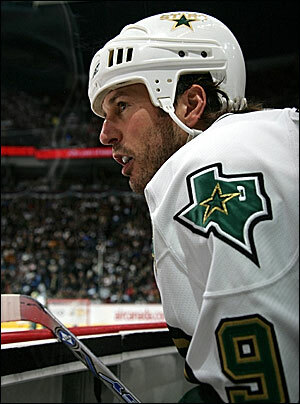 There are a number of rumors flying right now surrounding veteran center Mike Modano, who turned 40 in early June. The Detroit Red Wings are recruiting him hard, but there are allegedly three or four teams with interest in him, including the Chicago Blackhawks. The skill set of the superstar is well-known to Blackhawks fans after watching him for years as the leader of the Minnesota North Stars and then the Dallas Stars. Modano is one of the best scorers of the last 20 years, and is one of the most respected players in the game as well. He has said all along that he is still trying to decide whether or not his future is in retirement or back on the ice, but one more run could make for an interesting decision. 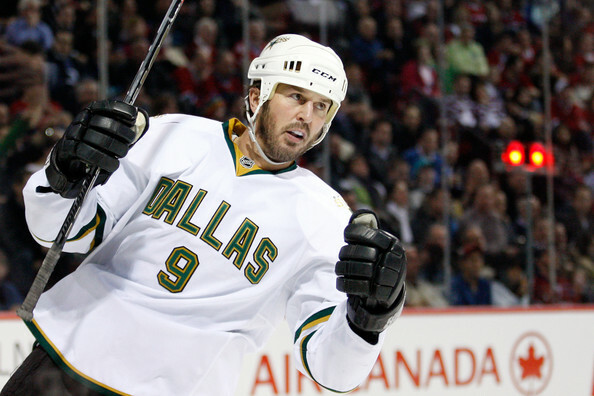 Last year in Dallas, Modano averaged 14:18 on ice and scored 14 goals with 16 assists. He was -6 on a team that was outscored by 14 goals last year. Modano also won 50.4 percent of his faceoffs last year, but played in just 59 games for the Stars. There are a number of considerations for both Modano and the Blackhawks that might make this an intriguing partnership for one season. If he doesn’t retire, Modano obviously would want to join a situation where he would be positioned to win the Stanley Cup. Detroit could likely make a strong case that, if healthy, they could make a run, but the Cup happens to call Chicago home this summer. The first part of the puzzle for Modano is obviously going to be money. While the assumption would be that the face of a franchise was making big money, that wasn’t the case for Modano last year in Dallas. He had a $2.25M salary and $3.45M cap number in the final year of his contract. According to NHLNumbers.com, Detroit currently has $52.792M committed to 16 players, while the Hawks have $50.300M committed to only 12. However, that number includes Cristobal Huet’s $5.625M cap number, which will not be in Chicago next year. It also does not include any of the prospects, like Kyle Beach, Viktor Stalberg or Shawn LaLonde, that could be part of the mix next year. There is a handful of prospects that have entry level deals with the Hawks that could, and likely will, be playing in Chicago next year to fill in the NHL roster. 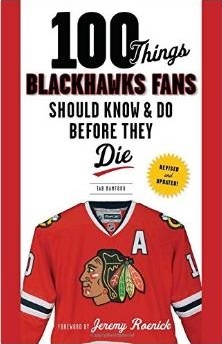 So saying 12 players are under contract in Chicago is both misleading and inappropriate. However, so is the $50.3M number. Both the Red Wings and Blackhawks would likely be asking Modano to take a pay cut from his salary from 2009-10, so financial considerations are going to be pretty even. The second issue for Modano to consider is where, and how, he would fit on a roster. Looking at Detroit, there doesn’t appear to be much room in the circle. They already have Pavel Datsyuk, Henrik Zetterberg and Valtteri Filppula on the roster, and are expected to get Jiri Hudler back from Russia next year; adding Modano would give the Red Wings five centers. In Chicago, there is plenty of room up front for a skilled veteran center. The Blackhawks will certainly have Jonathan Toews back as their top-line center, but from there it’s an open book. Patrick Sharp did a nice job at center on the Hawks’ second line last year, and Dave Bolland returned from back surgery to have a great playoff run. But moving Sharp back to a wing spot opposite Marian Hossa would put more firepower on the ice for the Hawks. Would playing between those two stars be tempting for Modano? The Blackhawks would be able to leave Bolland on the third line, where he was excellent in the playoffs, and put veteran Marty Reasoner on the fourth line. If the thought of playing between Sharp and Hossa wasn’t tempting enough for a veteran looking to make one more championship run, remember that Quenneville separated Toews and Patrick Kane to start last season and the two were successful apart in the playoffs as well. Skating Hossa with Toews and Kane opposite Sharp is another possibility for the Hawks, and there aren’t two potential lines in the NHL that are a better option for Modano than those. To those that think adding Modano doesn’t make sense for the Blackhawks, let’s remember what the Hawks had on the ice last year. John Madden was a good defensive center, but he wasn’t brought to Chicago to be an offensive force. Madden scored just 10 goals and added only 13 assists last year, with a -2 rating in the regular season. He won 53.07 percent of his faceoffs last year. If Modano was inserted as a second line center and Bolland stayed on the third line, the Blackhawks would be better from top to bottom at the center position in 2010-11 than they were last year. They would also have better depth at the wing positions on their top three lines, assuming Sharp’s move to wing pushed Troy Brouwer to the third line with Bolland. The defending champions might be the best situation for Modano to make one more run at the Stanley Cup, and adding a future Hall of Famer to the lineup could keep the Blackhawks atop the NHL for another year. Tab, nice write-up. However, I think you may have confused Holmstrom with Zetterberg. Holmstrom is not a center, Zetterberg is. JFYI. Indeed, and I made the edit. Thanks for the catch!